If you are a Tiger Woods fan, better to skip this posting, because watching golf today had me shaking my head. 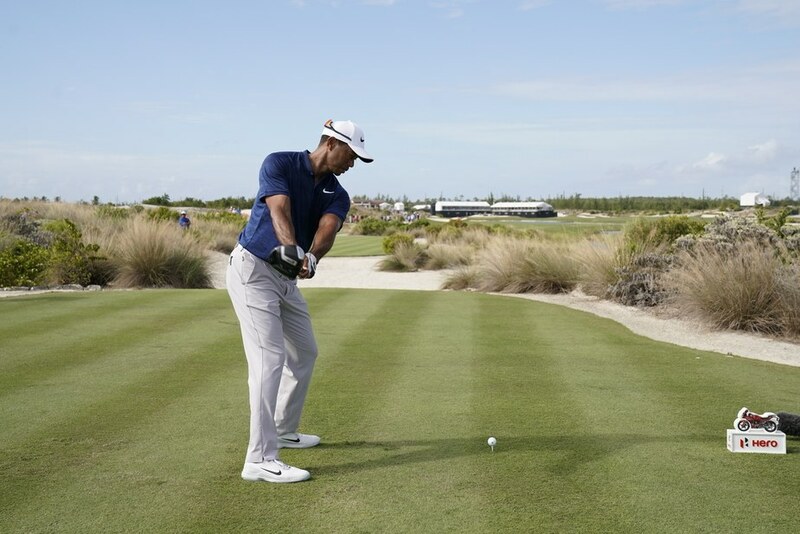 By now, I’ve probably said it a million times – how does Tiger Woods wonder why he’s always hitting the ball left when he has a “swing left” move and also takes the club back with a closed face? Today however, while Tiger was yanking everything from Driver to wedge, I saw and heard an incredible (and not in a good way) analysis from Peter Kostis on a particular iron swing that left me speechless. Apparently, TW is working on swinging through without getting a low right shoulder – he tries to keep it high and… then he wonders why everything goes left on him? Quick kinesiology lesson – if you are swinging with level or close to level shoulders, you are turning them like a revolving door, and the chances of catching the ball with a proper club path are minimal. A “great swing” on a day where he hit 3 fairways and 9 greens. But since TW put that particular ball off the tee on the green with a makeable birdie putt, he was swinging Grrrreat! I don’t particularly enjoy being a Negative Norman, because looking at and complimenting great swings is much more fun, but I have to say, his newest swing is as ugly as anything I’ve seen from him in recent years. All of the head-harpooning, foot-snapping, left-yanking and deep divots even with long irons – I think I’m safe in proclaiming TW one of the greatest ever golfers with the absolute worst swing of all the greats. As for changing a swing to make it easier on his back – I guess it’s never occurred to anyone around him that continuing to swing with a planted leading heel and then trying to yank the club left through the swing bottom are as bad for the back as anything I could dream up. But hey, I don’t know anything about swing mechanics if it’s being praised and loved by the “experts” on TV. 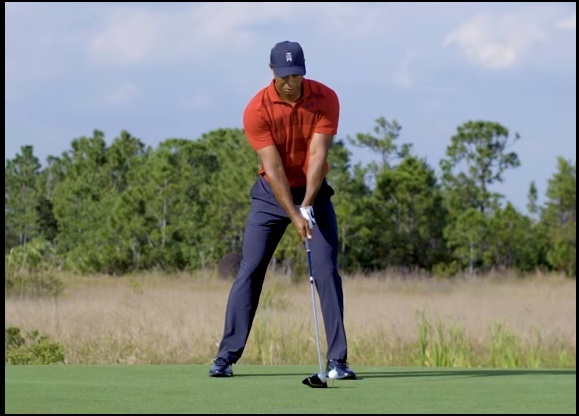 This entry was posted in MCS Golf Swing, Modern Swing, Peter Kostis, PGA Tour, Tiger Woods and tagged DJ Watts, Modern Golf Swing, Peter Kostis, PGA Tour, Tiger Woods, WAX Golf on January 26, 2019 by D Watts. He must be, Mr. McJohn, which would be the only reason he hasn’t hurt his back again. When he shifted to the right on the back pivot from a left-biased stance, I called that move the “back-breaker” and that’s exactly what it did. I say “must” because all I saw today were down the line swings, and the one face-on shot I did see, I was distracted by Kostis’ crazy talk about high right shoulders. But he certainly transitions as if he’s reverse-shifted on the back pivot. Nonetheless, as hard as he’s swinging without breaking his back, I would assume so. Otherwise, what happened before will happen again. I try not to watch too much of that stuff, it just depresses me. It’s really just more optimal to be right biased and call it a day. He’s just not using his head. Being an athlete, he really should have knowledge of this. He played other sports in his youth, he isn’t inexperienced with this kind of stuff. I’m thinking it’s a habit for him to do what he’s doing, and he really doesn’t want a massive swing change while he still has only 5 or 6 years left to win some titles. He might in reality only last another year before something goes. I personally think he knows what he needs to do. He’s just not doing it. I didn’t do any other sports as a kid, or even as an adult, but I did learn martial arts, and that gave me enough common sense to see through the modern swing nonsense. And in general, I’m not stupid. If it hurts, STOP DOING IT. I think the more freedom in a swing, the more leverage, and less maintenance and almost no injury. One thing I will ask out of curiosity, while we’re on the topic of weight shift and pivot, and that is how Byron Nelson struck the ball so well with a shifting head. He was the best ball striker I ever heard of besides Moe N. I think Moe and Byron are evenly matched in ball striking standards, at least considering the stories. But you’ve always said a shifting head isn’t optimal for accuracy since I’ve seen the blog, and of course I agree. But somehow Byron got away with it. Just curious what you think. You’re exactly correct, Mr. McJ – Byron Nelson was one of the best ball-strikers of all time, the first to really build a swing for steel-shafted clubs after the hickory era, and yes, he did that despite a shifting head. He really is the exception proving the rule. One thing however, is that he wasn’t the longest hitter, and for his size, probably a “short” hitter, but with a shifting head, you will have to pick your preference – long and wild or shorter and more accurate? He made the right choice, but I would bet that, absent that head shift in his mechanics, he would have been much longer and just as accurate! I totally agree that yanking the club left manually is a putrid move that can lead to pulls, wipes and shanks while placing excessive forces on the forearms and wrist.However, I think the “right shoulder high” bit is excellent if explained correctly. Every good golfer will obviously have the trail shoulder much lower than the front shoulder at impact. However, trying to keep the right shoulder HIGH and BACK in transition is a great feel, as it guards against the “harpoon drop” and promotes starting the downswing with the lower body (it is almost like you try to “peel” everything away from the right shoulder). This promotes a nice shallow entry to the ball with a natural release. It is just a different upper body intent to accomplish the same transition that you advocate! I actually like this “right shoulder high thought” better than lower body intents, as I can more easily use the same feel on a 300 yard drive or a 30 yard pitch! 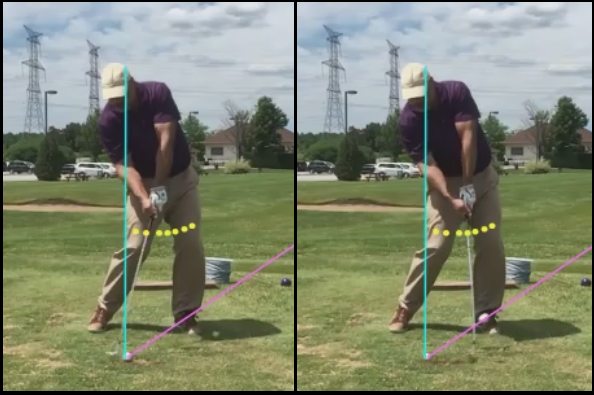 Great comment, b.mattay – I’ll give you my objections to the “high right shoulder” swing thoughts and attempted mechanics – it’s a manipulation and thus dependent on personal coordination, which varies day to day. Look at TW yesterday, couldn’t find a fairway with a flashlight and GPS tracker, and 50% GIR. That above setup has nothing in correlation to the proper impact position and spine angle. As soon as the spine tilts right and the right shoulder drops… deep, way too deep, but that’s all caused by the setup and not the mechanics. At the end, it has to do with the setup and mechanics – build the MCS setup and swing using the proper pivot and weight shift, and you will get the same thing, without the manipulation and day-to-day struggles. I’m all about optimal mechanics, so I wouldn’t advocate what I was seeing and hearing yesterday – much easier to build the swing model that produces the desired effect from simply swinging. 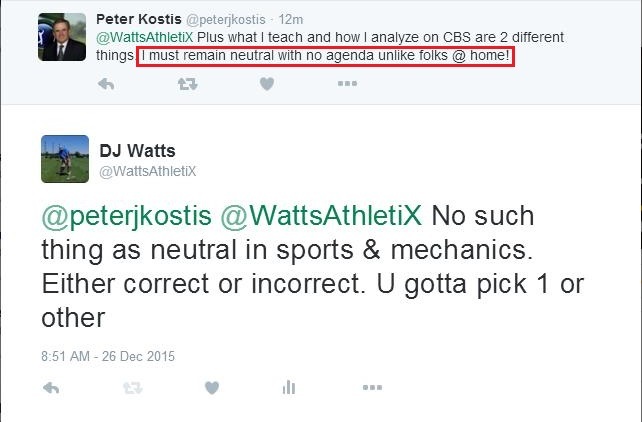 Come on DJ, cut Kostis a break. He probably believes the opposite about the shoulder. He just doesn’t want to say so on the teevee where millions can hear him. Maybe ask him on twitter? Teevee = low right shoulder, twitter = high rght shoulder. He’s a balanced and even handed golf expert. I would re-iterate my point to P.K. that proper mechanics and bad are proper and bad whomever the audience may be, and if working to keep people from learning and being hurt by improper mechanics constitutes having “an agenda,” then I’m guilty as charged. If his only purpose on the TV is to praise swings no matter how bad they are mechanically and to not ruffle feathers, and to promote Modern Golf Swing lunacy at the expense of those who may listen to him, then so be it. But expect to have it called out. I congratulate you on having recognized a purpose for Kostis being on the teevee. To date, no one else has been able to.